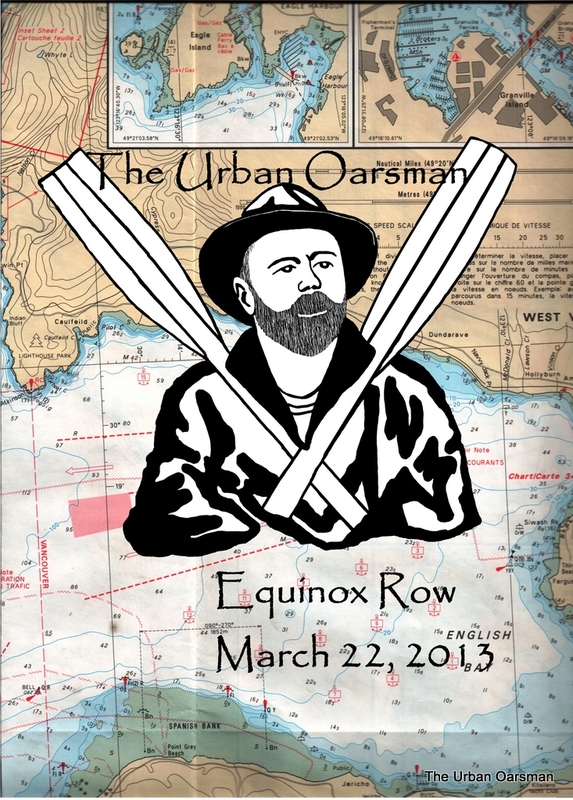 The Equinox Row, March 22nd, 2013. March 22nd, 2013. 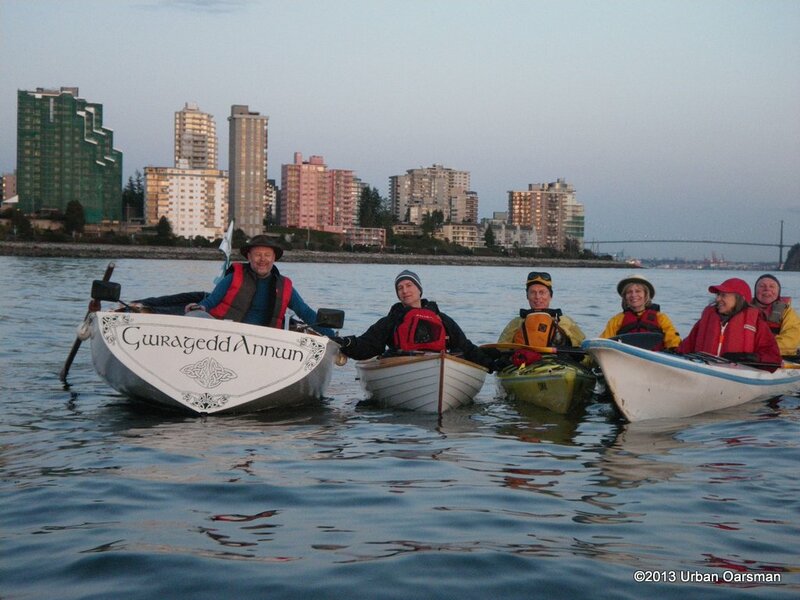 The Equinox Row. 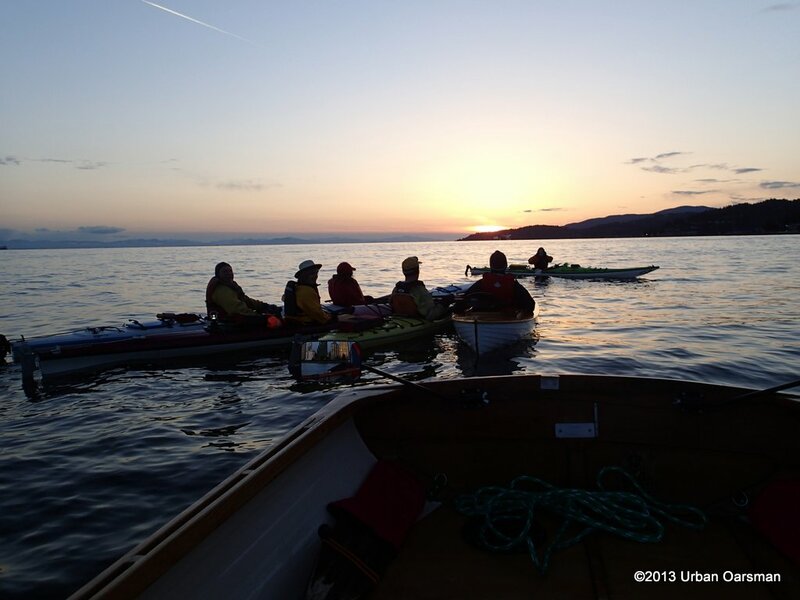 We leave Hollyburn Sailing Club and paddle and row west along the shore towards Lighthouse Park to watch the Equinox Sunset. 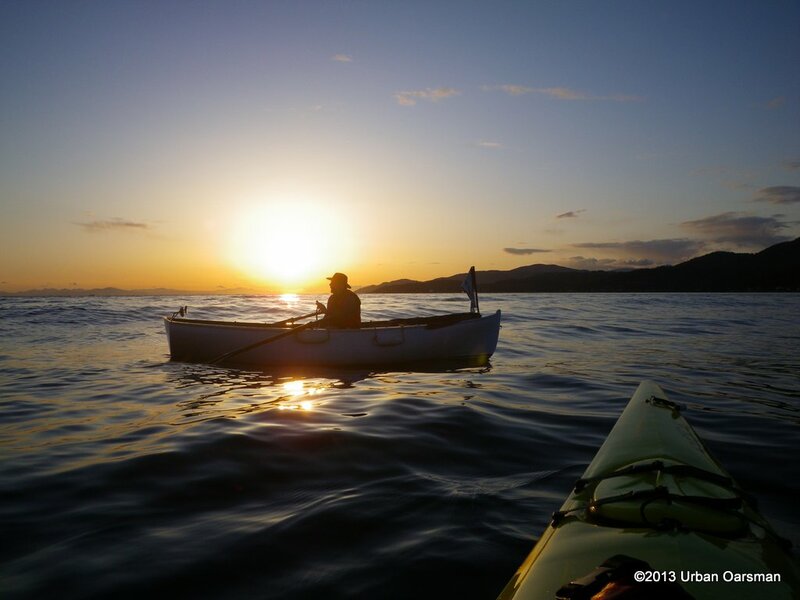 Ideal conditions, Paddling into the Sunset off Ambleside in West Vancouver BC. 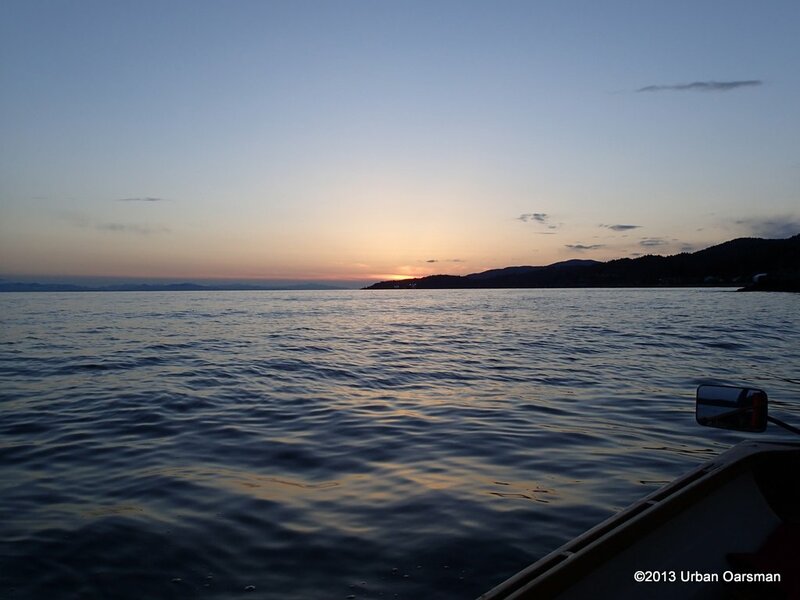 The water is calm, winds light, conditions are perfect. 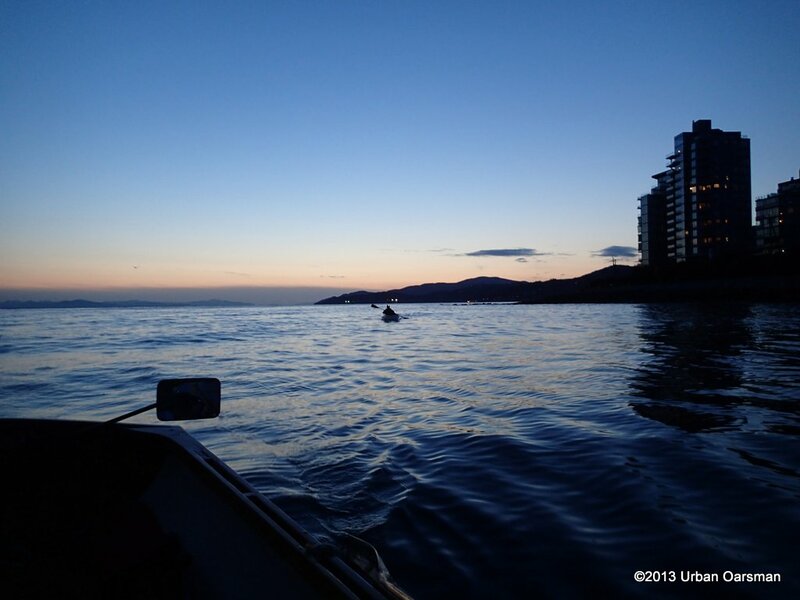 A good time to be on the water in English Bay. Tugboat Traffic under Lion’s Gate Bridge. The “Equinox tow”. The traffic is light coming into and out of the First Narrows. 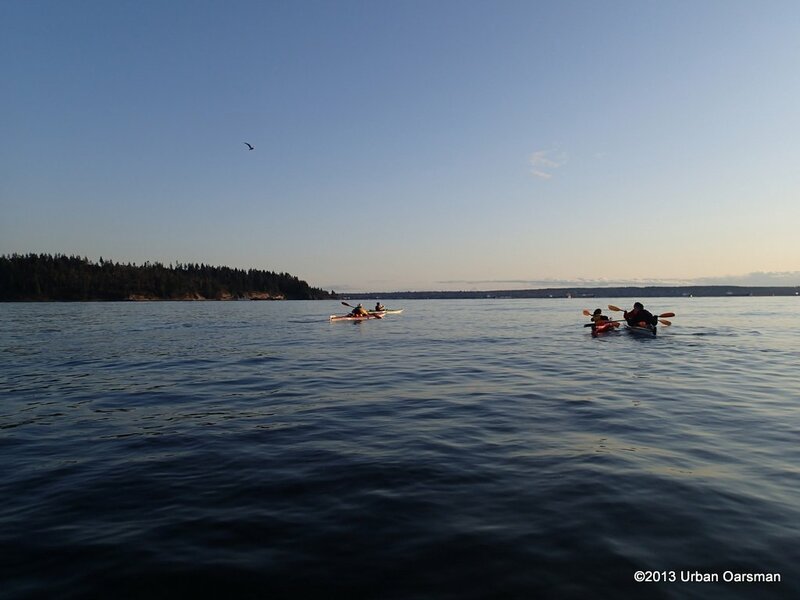 Riding the swell from the tugboats and the “Equinox Tow”. 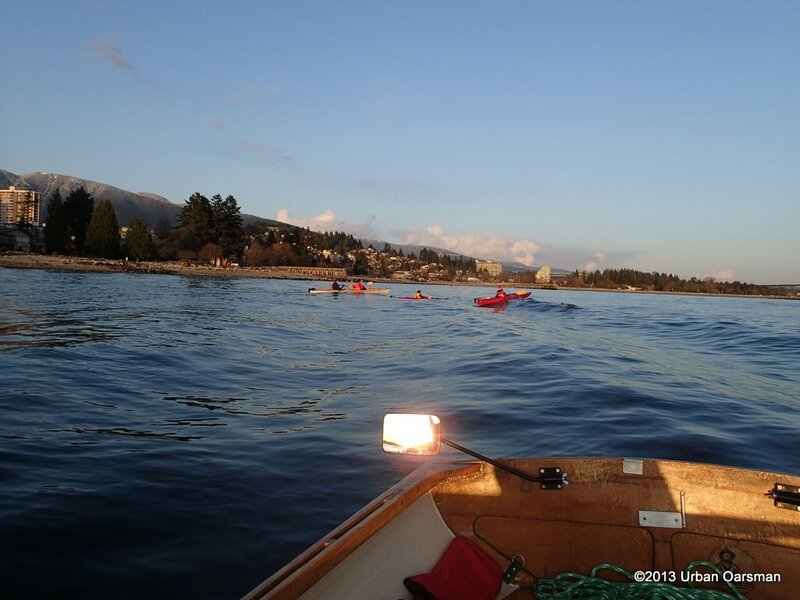 We continue West up coast towards Lighthouse Park after the swells have passed. 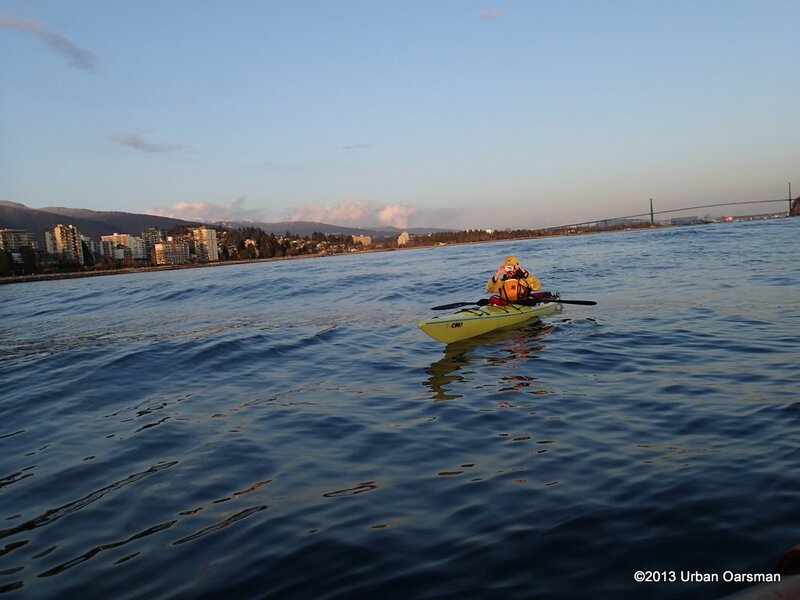 Paddling out towards Lighthouse Park, Lions Gate Bridge (First Narrows) in Background. 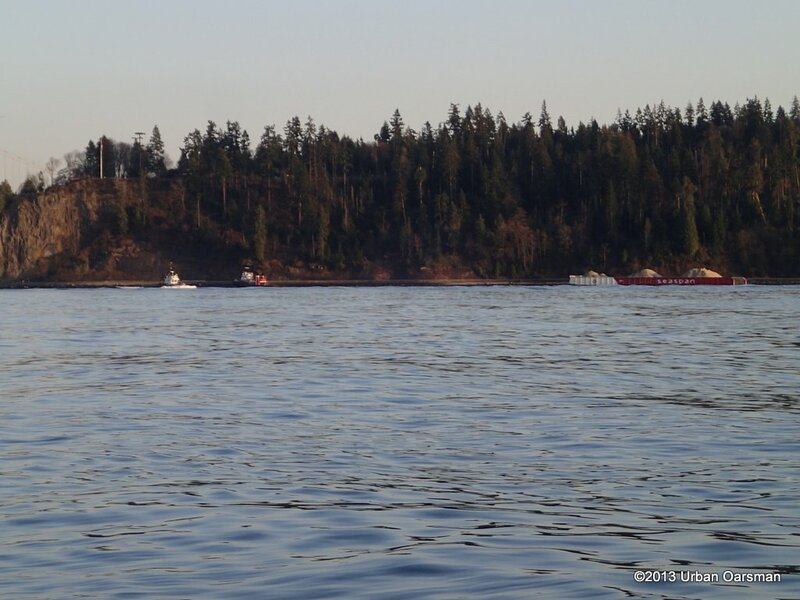 The Hollyburn Sailing Club site is worth exploring. Click on the Photos tab in the top row to see photographs, both recent and from the long-ago past. Hollyburn Sailing Club (HSC) is my home base. 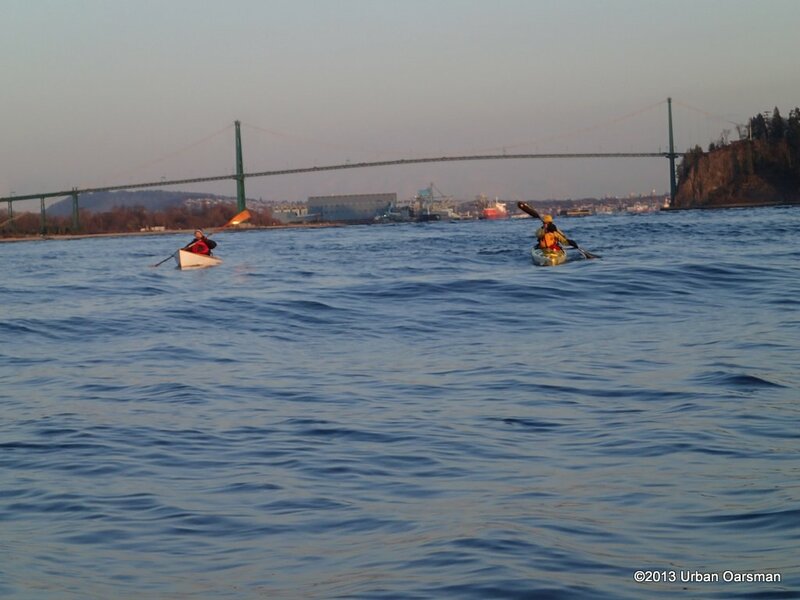 It is an active Sailing, Rowing, Paddling and Stand up Paddling Club. 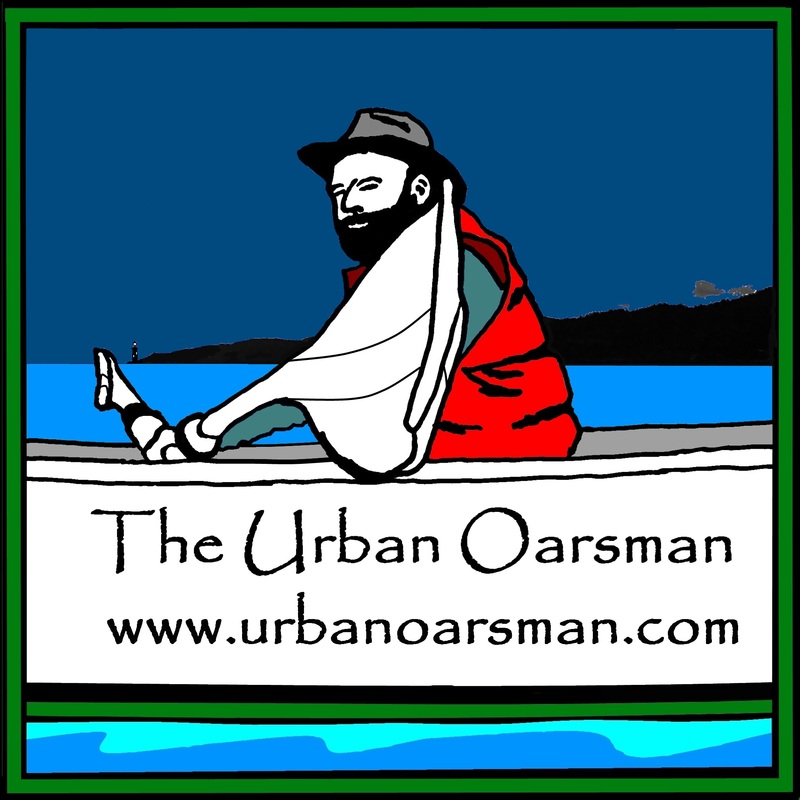 If you do not own your own boat, you can join the Co-op and use one of their boats. The Co-op has sailing boats, kayaks and a paddle board. HSCis where I store Gwragedd Annwn and started this row from. Photo courtesy of Steve Britten. This picture was taken around 6:10 pm. An hour to go to Sunset. Equinox Sunset reflection off shoreline apartment buildings, West Vancouver, BC. Lions Gate Bridge is in the background, Stanley Park to the right. 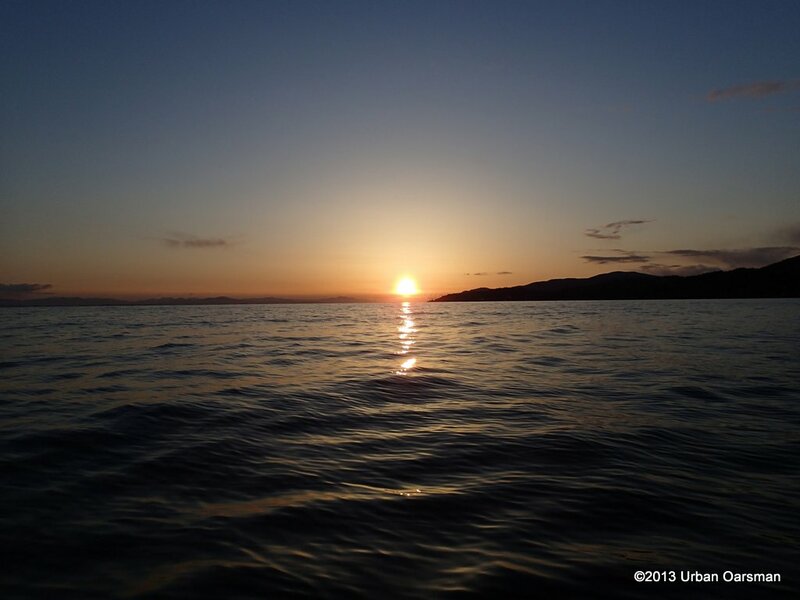 Setting sun, off Lighthouse Park, 6:16pm, March 22nd, 2013. Setting sun, over the Lighthouse, Lighthouse Park, 6:22pm. 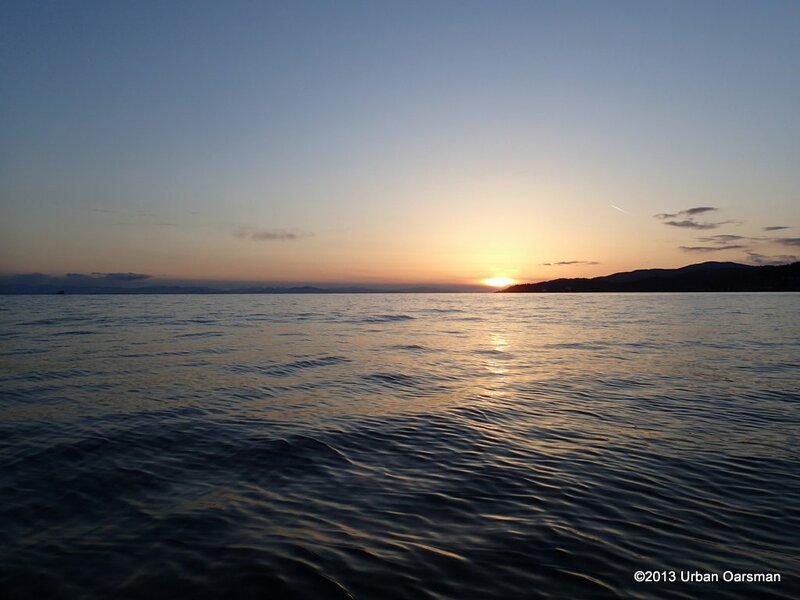 From anywhere in English Bay, no matter what the time of year, you never see the sun setting over the water, as there is always a mountain or the Island for the sun to set over. When the sun is as far south as it gets, it set over the Island, when it is a far north as it gets, it sets over Lighthouse Park or Mt. Elpinstone on the Sunshine Coast (depending on where in English Bay you are watching the sunset). 6:25pm, The sun is almost behind Lighthouse Park. There is some sun on us as the Paddlers and rower gather to watch her set. The equinox sun is behind the hill, Twilight and time to head back to HSC before dark. Twilight row home. 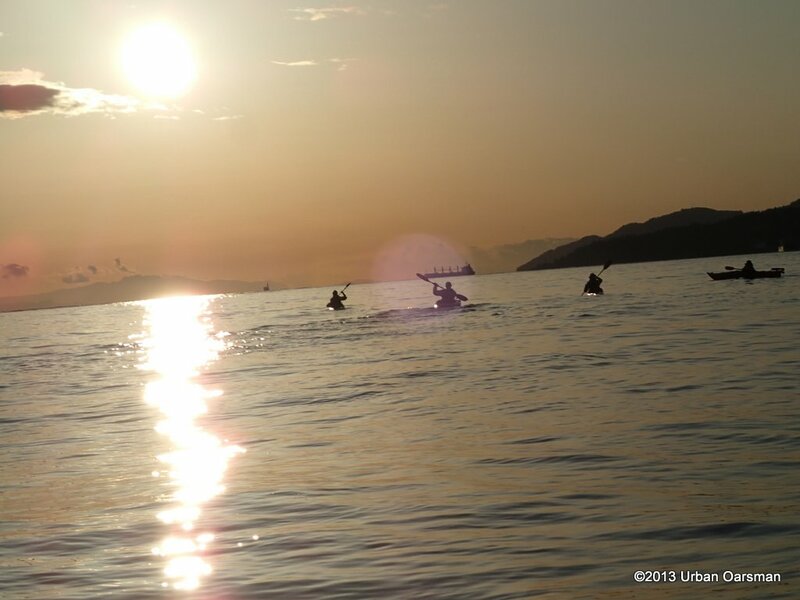 It is a twilight paddle for the Kayakers. 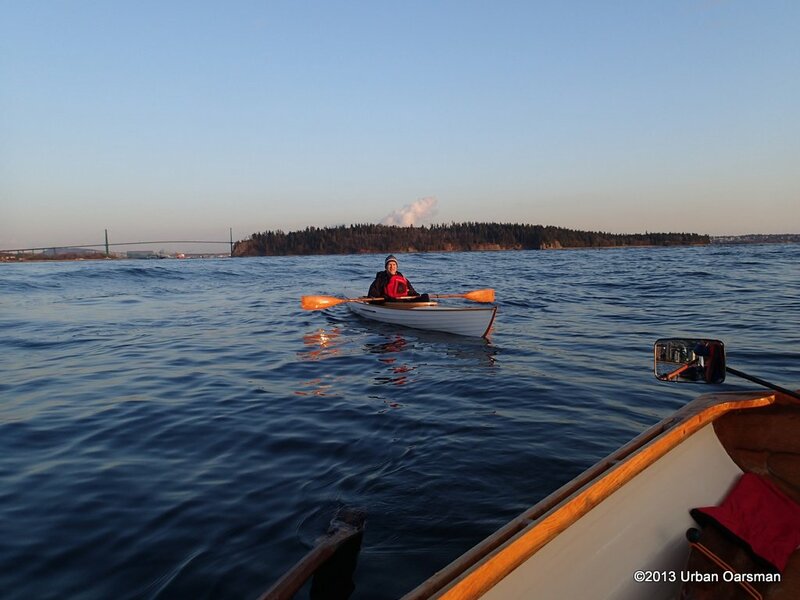 This is Ian in his solo paddle canoe. 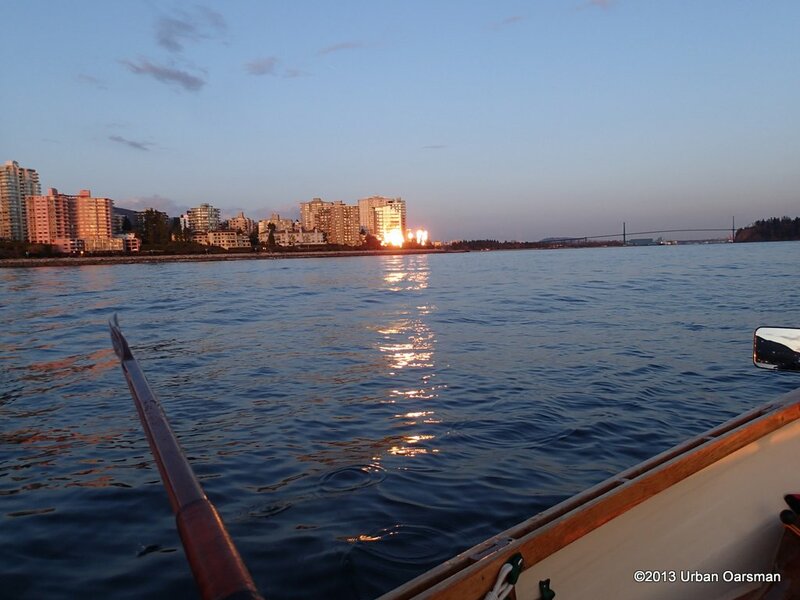 A beautiful evening on the water off Ambleside. Almost back at HSC. 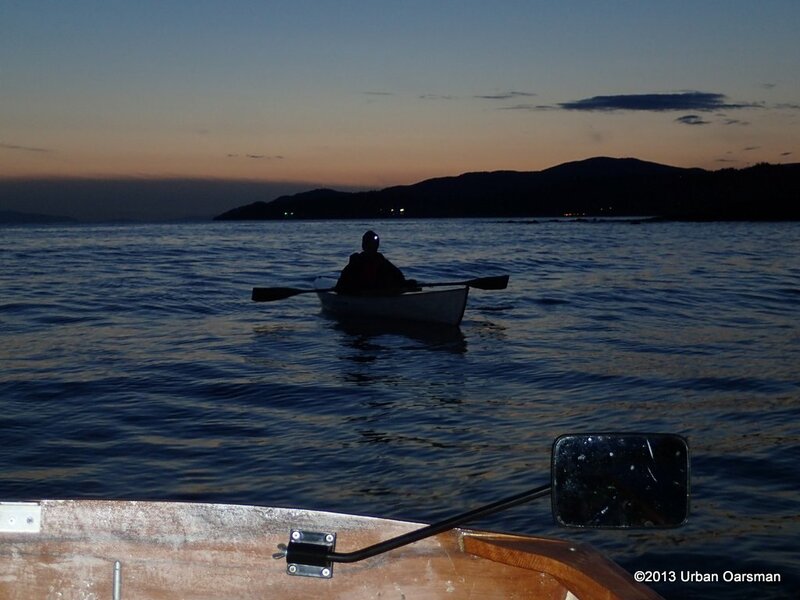 The end of an Equinox Row.